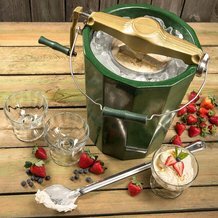 Delight in delicious, fresh, homemade frozen treats with the Immergood Amish hand-crank ice cream maker. 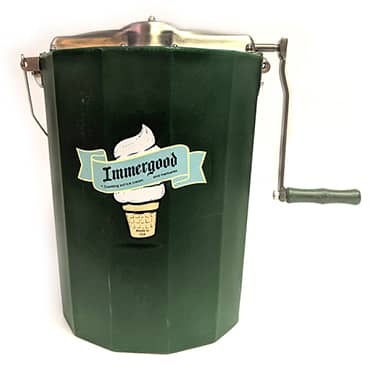 Featuring an insulated fiberglass tub and a six-quart capacity, this manual ice cream maker is leak-proof and stays cold longer than traditional wood tubs. Immergood means "always good" in German, so you can be sure that you're getting a product that you'll love. For best care, hand wash lid and canister. Make sure all the salt is washed away from any metal parts. Tub easily wipes clean. 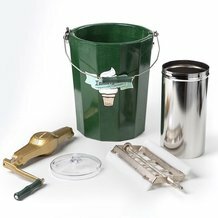 Helpful Hint: Besides an ice cream freezer, you just need three simple items to make homemade ice cream. For every 6 cups of ice, you'll need 1 cup of salt. Note: It is normal to hear a loud popping noise when using this freezer. It's caused by the cold temperature of melting ice against the tub and will not harm your freezer. This hand-crank freezer is head and shoulders above anything on the market - and made in the USA! I am an engineer, and I was highly impressed by the detail, materials, and the precision of the design. The outer can rotates one way, the paddle/scrapers rotate the opposite way, and an addition stirrer paddle rotates opposite the main paddle in it's center: a marvel of precision. 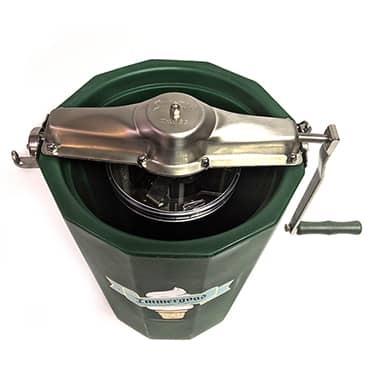 Instead of fragile aluminum that corrodes around salt, and steel gears that rust upon the first us, this marvelous mixer has stainless steel for ALL metal parts. Forget about electric mixers that you have to finish with a crank anyway, and forget about really packing this one down with three inches of ice and salt over the top of the can when done. 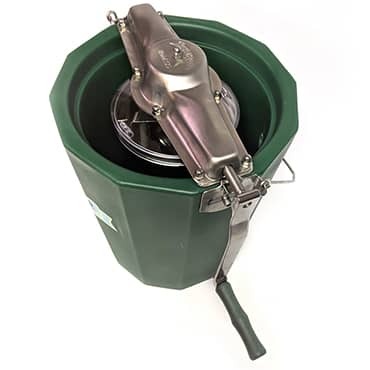 The bucket is so well insulated that it will never need packing after churning. This is the best ice cream maker I or my son has ever used. My wife thought I had lost my mind spending that much money on it but after a couple of uses, she and the rest of the family love it. And yes I would buy it again.